Network Marketing Tip: Is Going To Your Company Events For Your Home Based Business Necessary? Is it important to go to your company events? We are all busy. I get it. We are all moving at a very fast pace, sometimes too fast. And sometimes we can easily justify that we can’t afford the company events that are coming up or that it just isn’t the right time to go. And there are some life reasons that justify that thinking – but most of the stories we tell ourselves are holding us back from getting what it is we really want. If we really want to be successful in our home based business, then we have to set ourselves up with the best possible environment. In my 8 years of network marketing, going to the company events is one of the very, very top one or 2 things you can do in order to create that environment where you can actually win at this. Case in point – no Diamond level Network Marketing Leader has gotten to where they are, WITHOUT going to the company events. There are so many sayings in the home based business world that illustrate this point. Robert Kiyosak,i in his book The Business of the 21st Century (great book by the way) talks about how the most important question to ask a prospective sponsor of a home based business is “what is your system?”. The system is key! In the best network marketing companies, the system consists of tools and events. Tools and Events. Tools and Events. Repeat. So if you are using the home based business system, then you are a professional pointer of the tools and you go and bring people to the events. If you don’t go to the events, you aren’t using the system. If you don’t go to the company events, you are making this way harder than it has to be. It is interesting how many people resist investing in their business in our home based business industry. I understand you want to make money. Remember, that just because it cost you somewhere between $200 to $1000 to start this business, doesn’t mean you should treat it like a $200 business. If you had spent $100,000 to start your network marketing business and your mentor told you that it was important for you to become profitable, that you always attend the company events because you would learn how to recoup that 100k faster and become profitable more quickly, – would you go? Would you treat that decision differently if you had invested much, much more? I am willing to bet you would take better care of your investment. Going to the events is INVESTING in your home based business and just as importantly in yourself. The personal development you will be learning by attending the events is usually worth the price of admission. Learning from the best and the top leaders will always help you to see a bigger picture and help you to be a better business owner. Going to the company events whether you have a team to go with you or not is absolutely critical and always a great idea. It does take a sacrifice to leave our families, to travel and be away, to pay for it. I’m not saying that it doesn’t. I am just saying it is worth it and necessary. When you don’t go, you miss out on the VERY THING that might have made the difference for you and your team. And if you aren’t going, it is next to impossible to convince anyone on your team that they should go. I recently traveled to Macau, China for my company’s international convention. While we were there, we posted 4 to 5 pictures a day of the event, of us at the event, new product announcements, new incentive trip announcements, the 14,000 people crowd, and last but not least, pictures of the leaders that were there. We brought as much of the energy and enthusiasm of the event back to the our team. Because of the energy around this, we had several people say they would never miss another event, because they didn’t want to miss out again. We also had several people book one year early for next years international convention in Singapore. The most important thing you can do AFTER a company event is to create the result you were able to achieve BECAUSE you went to the event. The reason for that is because when the next event rolls around – you will be able to share that because you went to the last event, you advanced in rank or you learned this one tip that helped you to sponsor 20 new people. That is what will compel people on your team to attend with you next time. Not because you all will have a great time – which you will, but because it creates the best environment for success and here are the results to prove it! I have heard story after story of people who weren’t succeeding but kept going to the company events (kept investing in their business) and finally something shifted and they were able to create the success they were working for. The question in our industry is will you hang in there long enough to learn what you need to learn AND take action along the way to make it happen? Will you stay consistent in pointing to the tools and attending the company events? How long will you stay consistent? Are you trying this (imagine a Doctor trying medical school) or are you serious about it? 1. Take notes. You will have a way better chance of remembering something just because you wrote it down. Most importantly, pull out a sheet of paper and on that sheet, write the things you will take action on. Don’t just write a bunch of good ideas. Write a to do list from what you learn at the event. And review this while you are on the plane coming home or first thing when you get back from your drive there. Set a plan on when you are going to execute those good ideas. You will have some lightbulb moments. Write the action items down. 2. Attend every session. 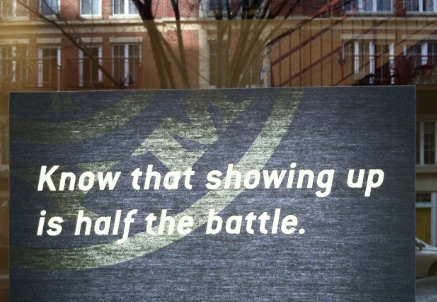 Show up – you didn’t go there to hang out in the hallways. Let other people do the same thing – don’t be the one that gets other people out of the room. Don’t be the ringleader that says let’s go to the pool or the bar. That is for after the event. Get what you came for. Show up and let the leadership speak into your life. 3. Market the company event while you are there. Post at least 4 to 6 pictures a day of what is happening there. And you will provoke curiosity if you don’t mention your company name. Let people see you are up to something and let them get curious and ask you. Telling your company name all the time is like telling the end of the movie to people who haven’t see the movie yet. This may sound crazy to you – but trust me, not saying your company name makes you stand out! You won’t come across like the look at me, look at me posts. You will stand out as different and interesting! And that is what you want. 4. Put the Law of Attraction to work. Write down what you want to get out of this event. What do you want to learn, who do you want to connect with, who do you want to meet. Get a visual image of what will happen at this company event. If you focus on what you want ahead of time and picture it, you are much more likely to get what you want instead of randomness. I hope these network marketing tips are of value to you and that you see why going to the company events is so important. Click here for another network marketing tip. You may also love my recent blog post about home based business. P.S. If you enjoyed this network marketing tip post on company events, tweet and comment please.